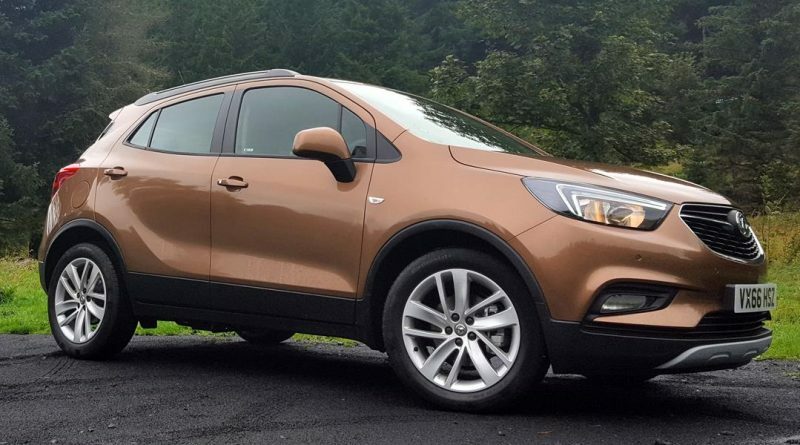 The Vauxhall Mokka is one of those cars that doesn’t give anything away on first impressions, looking almost deliberately generic – just another crossover. Understandably, it’s got a little bit of a reputation for being a bit uninspiring and a bit dreary. Despite that, the Mokka was 2015’s 10th best-selling car in the UK, and now it’s received a bit of a makeover to keep it fresh. Fortunately the changes to the front end have made what is now called the Mokka X look more modern, and kept it up to date with the Vauxhall company ‘face’. It actually looks rather good from the front; the new headlights in particular are a real improvement, and gone – thankfully – is the mess of styling that came before it. It still doesn’t look as appealing as a Fiat 500X or the new Peugeot 2008, but it does at least bring the model into 2016. Inside there’s a new dashboard offering a whole new look, as the Mokka X becomes the latest car on the market to do away with the button-heavy layouts that now seem so last decade. In their place is either a seven or eight-inch touchscreen and, with Vauxhall’s ‘Intellilink’ system, Android or iPhone users will be able to link their phones to the car using Apple Car Play or Android Auto. This might tempt some buyers into avoiding paying extra for Vauxhall’s own navigation system, especially as the useful ‘OnStar’ concierge and safety system comes as standard on all new Mokka X’s. Vauxhall may have missed a trick by not bundling that up with its navigation. Speaking of tech, I can’t remember the last time I drove a £20,000+ car that didn’t have a boot release switch on the key, or even keyless entry. Beneath the metal there are two new engines. Vauxhall has made its 1.6-litre ‘whisper’ diesel engine available for the Mokka X, and this is a decent unit, being both quiet and economical. It’s available with two power outputs – 108bhp and 134bhp. Vauxhall claims the former is capable of over 70mpg, but I’d pick the 134bhp version as it should still return a realistic 60mpg, and it’ll have some extra power to help you on your way. The other new engine is a new Ecotec petrol unit, producing 150bhp, but it’s only available with an automatic gearbox and all-wheel drive. I can’t understand why you’d opt for that as the older 1.4-litre turbo petrol with 138bhp is perfectly adequate for the car and at least has the flexibility of front-wheel drive and a manual gearbox if so desired. The Mokka X feels at home in an urban environment with its light steering and quiet engines, but it can frustrate too. 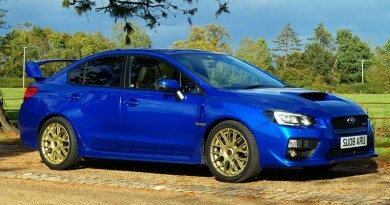 The manual gearbox feels loose and a little clumsy, while the bite point of the clutch is vague and takes a lot of getting used to. The 1.4-litre turbo petrol that most buyers will opt for suits the city well, but lacks urgency outside of an urban environment. It certainly isn’t slow, it just isn’t as responsive or as enjoyable to wield as the 2.0-litre petrol engine found in the Mazda CX-3. That lighter, more city-living steering setup comes back to bite you on the open road too, making it tricky to get any feedback from the front end. 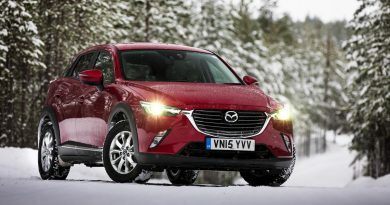 It used to be the case that crossovers could get away with being average to drive, but cars like the Mazda CX-3 and Honda HR-V have shown that this is no longer the case. At least the Mokka X is one of the most comfortable cars in its class, it really does ride the cracks and bumps in our roads well and it certainly impressed me on the rough roads of the Scottish wilds. For those of you with lots to carry, it’s clear the faux-SUV’s 356-litres of boot space is vastly more than what you’d get in a Nissan Juke, with the seats down this figure increases to 1,372 too. It might look small in proportion, but you’ll squeeze plenty of items into the car if you need to, though it must be pointed out that a Skoda Yeti can handle significantly more. The new Vauxhall Mokka X (which is just a facelift of the old Mokka with an added X on the end) is a step in the right direction at least. It has a better image now thanks to that new styling, and it’s a much better proposition than a Nissan Juke in terms of practicality. The new whisper diesel engines are better than the old 1.7-litre units too, closer to the Honda HR-V’s excellent engine. While the Vauxhall Mokka X is far from a bad car, it just isn’t as accomplished as its rivals. For everything it does well, something else does it better, and as a result it’s rather hard to recommend. Driven by an intense passion for cars seemingly since birth, Jonny throws himself into his writing as if it was a twisty corner in his native region of Devon. While lost, he once drove around aimlessly for nine and half hours inside central Paris - and he's still getting over it.